Found these pieces at a local thrift store. They are all made in Ireland ca. 1970’s. 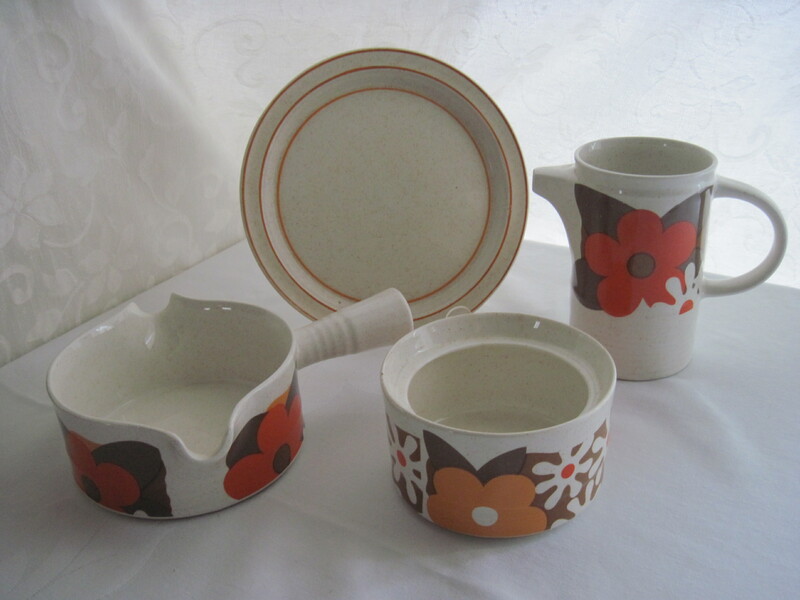 The sugar dish is missing the lid but I love the retro floral pattern and it makes a good catch all dish.